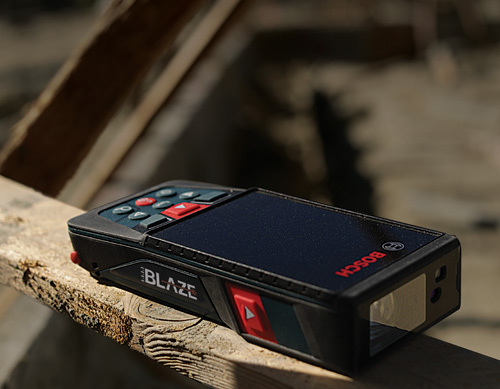 The Bosch BLAZE™ Outdoor GLM400CL Connected Laser Measure with Camera features an adjustable zoom camera to find the laser spot in bright conditions, measuring up to 400 Ft. 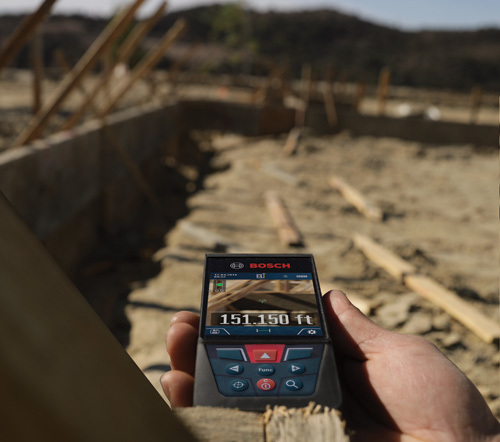 Transfer the measurement documentation to a smartphone or tablet with Bluetooth® using Bosch’s MeasureOn app. Note: Photo files are too large to transfer. 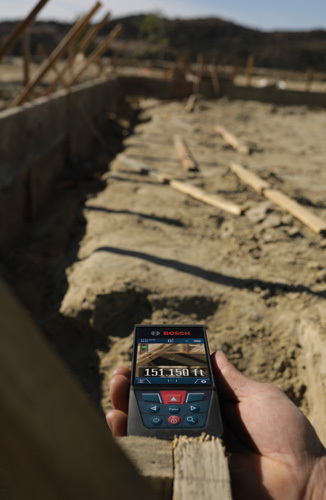 The outdoor laser measuring device provides default real-time length, length, area, volume and indirect measuring functions – which are simple to take advantage of thanks to the display guide walking through each measurement process. 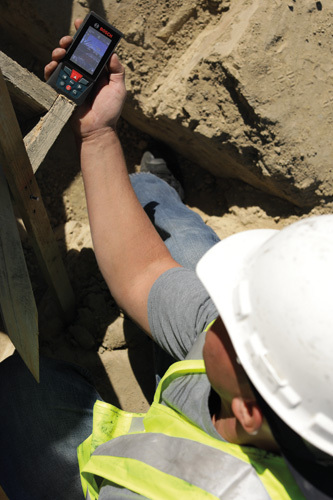 A built-in inclinometer determines the angle of pitch and confirms when the tool is level. 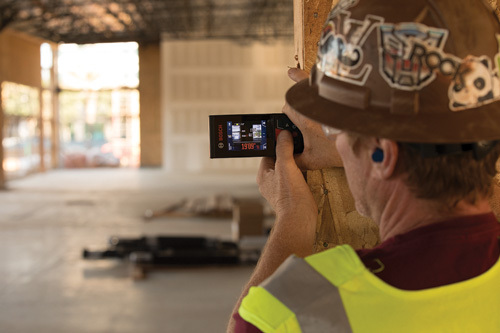 The laser measure also features an easy-to-read backlit color display, reinforced screen glass, an easy-to-use display guide and 11 measuring functions (including default real-time measuring). It allows users to see the last 50 measurements on the tool and stores over to 600 images. Accuracy up to ±1/16 In.